The Neurology Clinic — Neuromuscular Disorders is made up of faculty members who are involved in clinical service and multiple research projects. 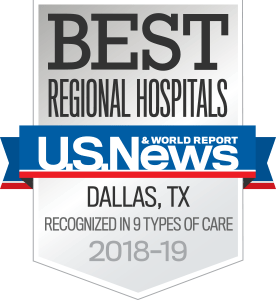 Our physicians see patients referred from the North Texas region and beyond who have a wide variety of neuromuscular disorders. We provide routine and advanced diagnostic services including nerve conduction studies, routine and single fiber electromyography, quantitative sensory testing (QST), evoked potentials, and quantitative autonomic testing (ARS). The clinic includes an infusion clinic and plasma exchange service for patients with immune-related disorders. Our clinic is partially sponsored by the Muscular Dystrophy Association and the Myasthenia Gravis Foundation and recognized by the Neuropathy Association. Our patient-care teams include neuromuscular neurologists, physical therapists, speech pathologists, respiratory therapists, psychologists, dietitians, and social workers.